Here are the packs we are taking. 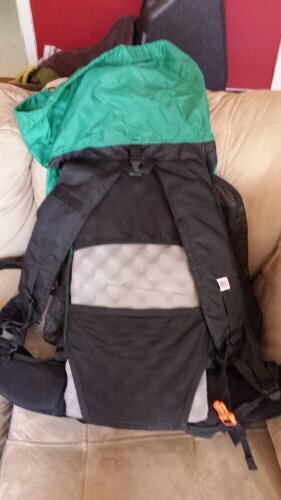 It’s a frameless pack that gets some shape from the sleeping pad jammed in the back. 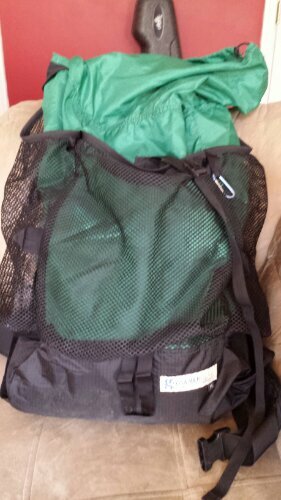 It tops out at around 30-35lbs of packweight, which is perfect for lightweight backpacking. This entry was posted in gear on March 15, 2014 by Joel. Have a wonderful time…Still completely jealous. This is part of my retirement bucket list! A guy in my church is an experienced backpacker. I told him about your adventure. It sounds like an amazing journey! What a way to draw closer as a couple and to draw closer to our Lord! Enjoy getting ready. I will check in every now and again. God Bless.